At the prestigious offices of “Il Sole 24 ore”, was held an important auction, organized by the recently launched Italian magazine”24 Hours”, by the auction house Antiquorum and the non-profit organization Help Them, to help raise funds to support the NURDOR project. 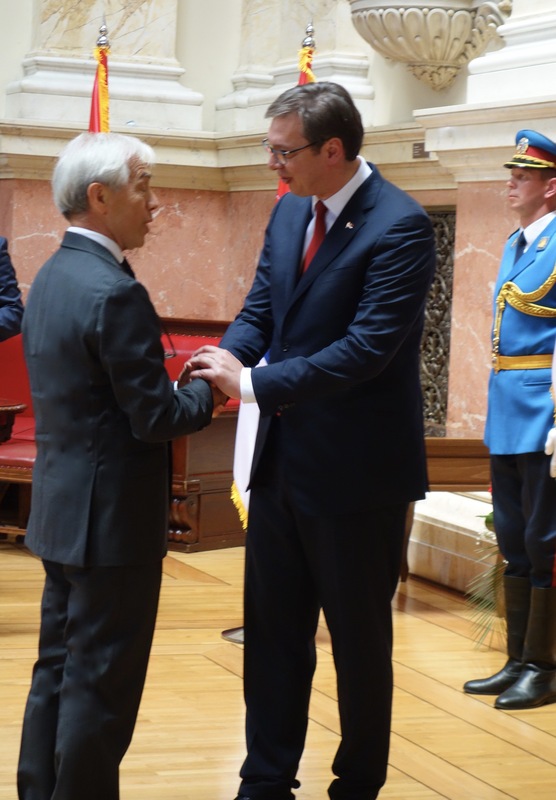 The Embassy of the Sovereign Military Order of Malta to the Republic of Serbia will coordinate all the activities carried out in Belgrade with the €100.000 collected by Help Them during that evening. 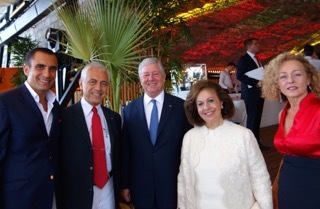 The First Coucellor of the Embassy of the Order of Malta, Ferdinando Bozzo at the auction with friends. 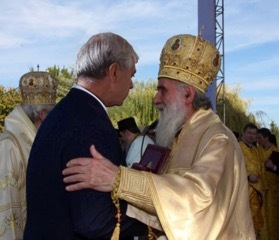 Bosko, an important person in Serbian culture, meets, during the last national holiday of the Order, Piero, a Milanese businessman close to the SMOM and honored with the Cross of Merit Militense. During this occasion, Piero gets familiarized with the poor living conditions of some of the remarkable young Serbs who, for a living, work at a massage parlor in Belgrade (www.biosana.co.rs). 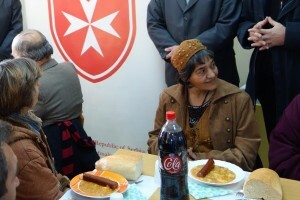 The Embassy of the Order of Malta in Serbia then collects, thanks to Piero, what is needed and wished by Milena, Ramo and their colleagues over at the Biosana Center, who have visual impairment or total blindness. For the high merits of closeness and spiritual guidance, Ambassador Alberto di Luca has delivered to His Most Reverend Excellency Mons. 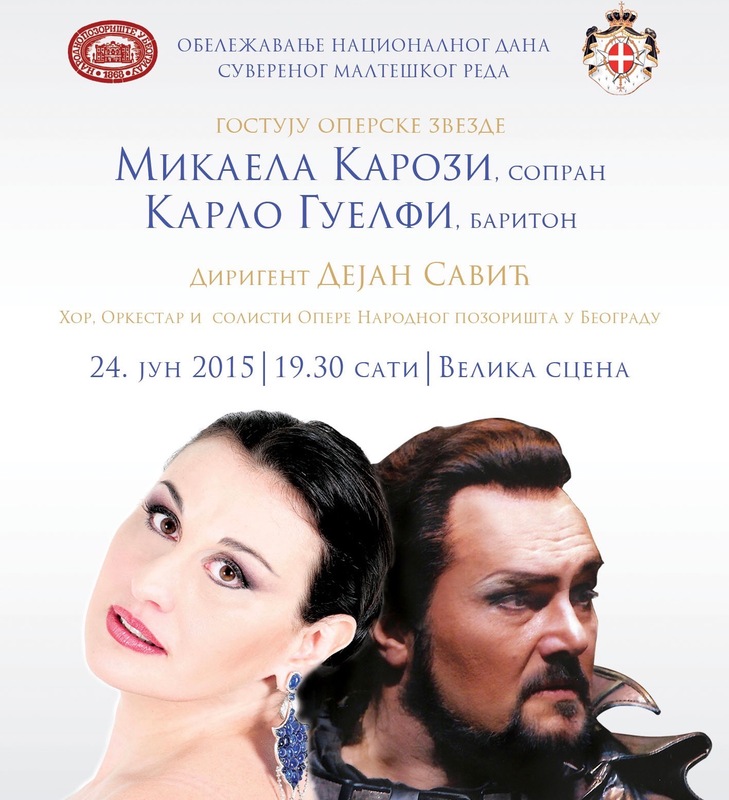 Stanislav Hocevar, the Cross “pro piis meritis” pro Merito Melitensi. 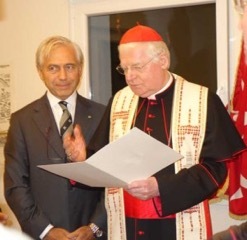 To the First Counsellor of the Embassy F. Bozzo, the honor of Officer of the Order pro Merito Melitensi for his personal financial engagement with its own resources for the most relevant activities of the Embassy. 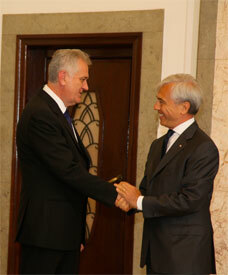 Contacts continue between Serbia and SMOM for the postal agreement. After the Ambassador Alberto di Luca had met, last June, with the Undersecretary for Telecommunications Jasna Matic, during the firsts days of December, Mr. Goran Ciric General Manager at JP PTT and Mrs. Olja Jovicic Independent SectorDirector for International Affairs have given, as well, their favorable availability to find a way to get shortly to the signing of the agreement. 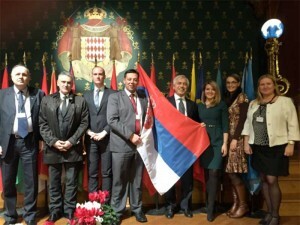 The collaboration between the Lombardy Delegation of SMOM, and the Embassy in Belgrade of the Order, has made ​​possible today the sending of 10 tons of food. 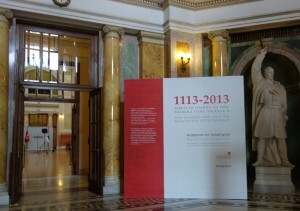 The history and values of the SMOM are beginning to receive the right attention in Serbia. 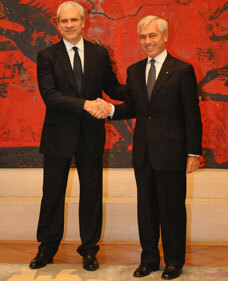 The Minister for Labour and Social Policies Ljajic with the Ambassador di Luca to lay down certain rules of humanitarian aid by the SMOM. 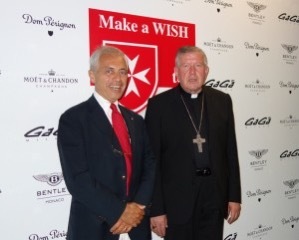 Ambassador Alberto di Luca met in Milan, Lombardy Officer of the Sovereign Order of Malta, Baron Guglielmo Cavalchini, to agree on sending food and clothing in Serbia. H.E. Mons. 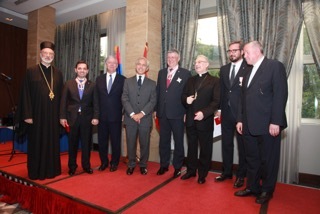 Stanislav Hočevar, Archbishop of Belgrade, with Ambassador Alberto di Luca, family and friends of the Order of Malta in Serbia in the archbishopric before the Mass celebrated in the occasion of the Feast of St. John Baptist.